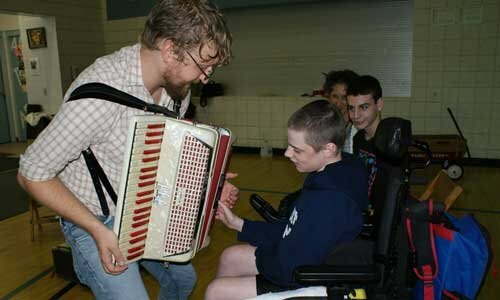 Shaun Bengson, half of the indie rock duo The Bengsons, worked with a group of students at the Elizabeth Lee Black School today to enhance their experience with music. 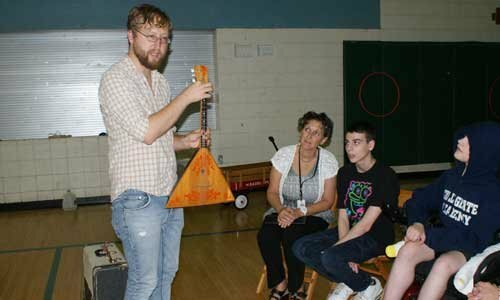 Bengson held two sessions with middle and high school age students to teach them an early American folk song and present a variety of musical instruments. 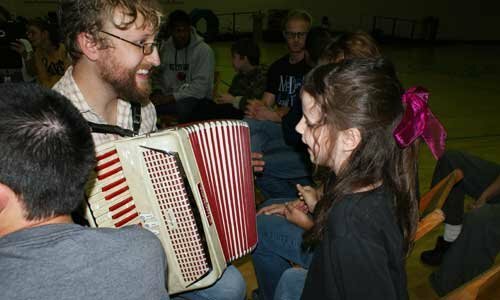 Students had the chance to hear and play a snare drum, an accordion and a balalaika. 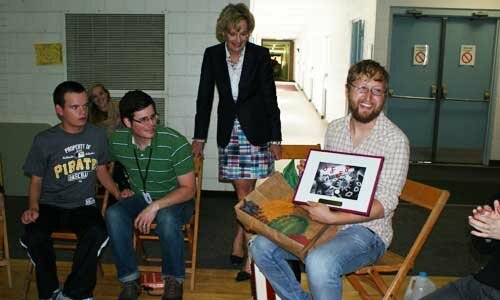 Mercyhurst University sponsored The Bengsons’ visit to Erie for a series of artist residencies, and the duo will perform a concert at the Erie Art Museum on Oct. 11. The couple, which includes Shaun’s wife, Abigail, is known for a unique blend of soaring vocals, frenetic rhythms and rousing choruses that have created a new hybrid of indie rock/art/theater performances. As activists and teachers, The Bengsons have worked everywhere from the prestigious halls of Williams College to NYC’s special education public schools; from the hills of Tennessee to the Cambodian immigrant communities of Massachusetts. 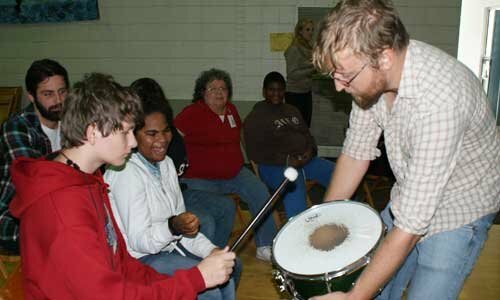 They have taught and worked internationally at the Market Theater Lab (Johannesburg, ZA), the Tijuana Christian Orphanage (Tijuana, Mexico), and ASAPROSA (Santa Ana, El Salvador).